Regency Insurance Welcomes Ellen Phillipp to Our Agency Family! 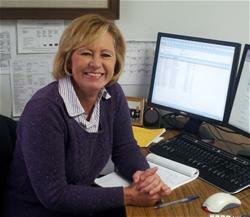 Home > Blog > Regency Insurance Welcomes Ellen Phillipp to Our Agency Family! It is my pleasure to introduce Ellen Phillipp as a member of our staff. Ellen is a licensed agent and will join Sabrina Stanley in providing “top notch” customer service to our existing clients as well as meeting the insurance needs of new customers. Those of you with us from the beginning may realize this is actually a “re-introduction”. Ellen was a part of our team from 1996 to 2001. Since then, she has been President of The Madison Historical Society, owner of Belle’s Costumes in Madison, as well as a licensed customer service agent with The Dynes Insurance Agency in Leroy. We’re very excited about having Ellen join us again. Her presence is another example of our commitment to provide you the best service, coverage and, pricing possible.